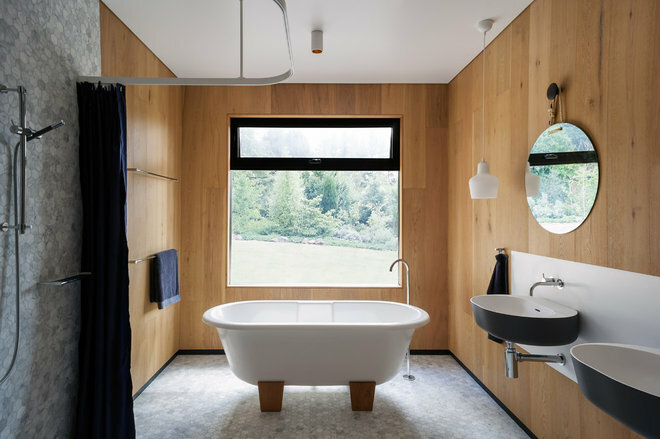 If you’re interested in working wood into your bathroom, take a cue from this striking example and consider using the material in unexpected ways, such as on the wall or as a sink. 2. Cool and calm. Cool tones that create a tranquil environment will be big in the bathroom in 2016, says Carmel Dee, senior interior designer at GIA Bathrooms & Kitchens. Her top two picks for cool hues are blues and emerald greens. Pair these with crisp white and touches of wood for a fresh, uplifting feel, or team them with metallic accents and rustic materials for a design that’s edgier and more sophisticated. 3. Creative tile patterns. Patterned and geometric tiles may have been hugely popular over the past few years, but prepare to see tile tastes change in 2016, Crawshaw says. 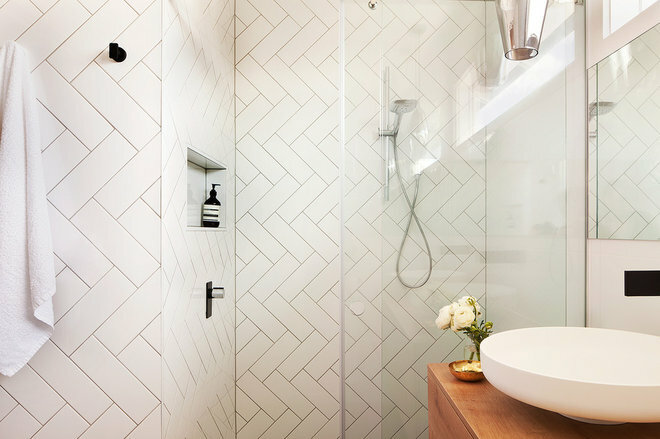 The Melbourne designer predicts plain, basic tiles will return to the spotlight, but with a creative twist. “With the desire to combat fast-dying trends, simple, timeless tiles will be laid in unusual patterns in order to create enduring appeal,” he says. Not sure which pattern to pick? A classic herringbone design, seen here, will lend a dose of visual drama and chic appeal. Basketweave and windmill patterns are other designs you might want to consider. 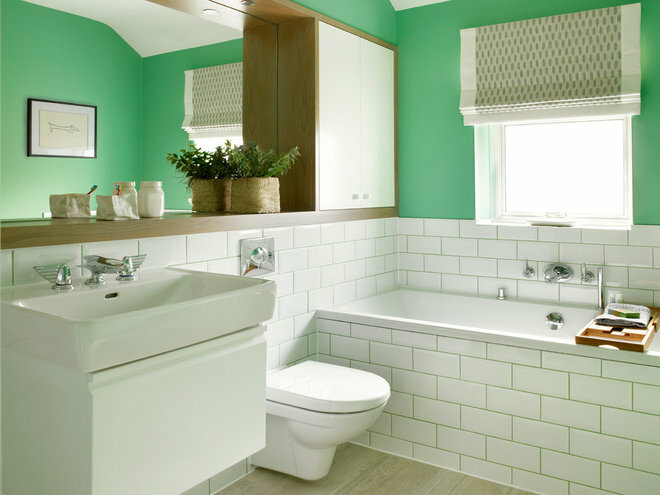 If you’re a lover of color and want a bathroom with extra oomph, an all-white or neutral palette probably isn’t going to cut it for you. 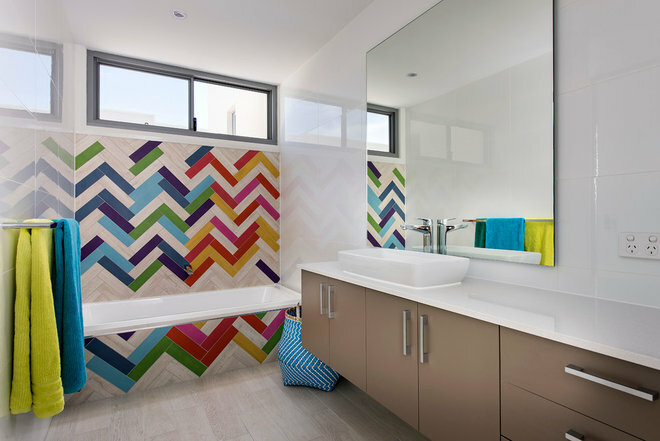 Here, rainbow-colored rectangular tiles lift this herringbone feature wall to the next level and give the space some serious design cred.